CMS just put out a call this month for additional participants in bundled payments programs that involve post-acute care. By increasing the number of participants, they hope to gain a “more robust data set” and improve their evaluation of the models. Bundled payments can also be used as a competitive differentiator and volume driver when a health system is the first mover in their market. Hoag Orthopedic Institute has been an early adopter and leader in using bundled payments for orthopedic procedures. They adopted bundled payment contracts on hip and knee replacements with three health plans as part of a three-year demonstration with the Integrated Healthcare Association (IHA). They found their care redesign efforts reinforced coordination incentives for physicians as well as lowered infection rates. Becker’s Spine Review recently published that bundled payments are also becoming a good tool for spine surgeons to negotiate against narrowing networks and other reimbursement challenges with spinal fusion. “The more successful these bundled payments or episodes of care projects become at actually saving money, the more prevalent those models will become,” says Dr. Paul Slosar in the article. In a 360-degree report on the orthopedic service line, 100 hospital executives were asked about their plans for bundled payments. 64% of hospital executives responded that they already have or expect to have bundled payments in place in the next 1-2 years. Executives in the survey said physician alignment is the most important factor in ensuring success with bundled payment programs. Aligning goals and care paths between the physician’s office to the hospital and back again are the keys to a smooth implementation. The American Hospital Association highlights the importance of mapping pathways of care in their issue brief “Moving Toward Bundled Payments.” Clinical pathways have long been a way to standardize and improve care management for specific patient populations. Management consultants cite “building a consensus on bundled care paths” as one of 6 hurdles to bundled pricing. Cost reductions and improved patient satisfaction are key benefits that executives and the CMS are hoping to see through these bundled payment programs. An article in the February issue of Modern Healthcare shows that early bundled payment projects are starting to show these positive results. 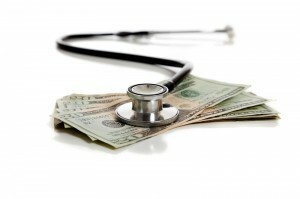 Do you think bundled payments are a good thing for orthopedic service lines? Let us know in the comments below.